Home » Blog » What’s Worse for Teeth Than Candy? Posted October 23, 2018 by Dr. William Myers & filed under General Dental Articles, Oral Health and Prevention. Another candy-packed holiday is right around the corner, and our dental office in Warsaw is busy getting into the spirit of Halloween. From pumpkins and fall colors, to costumes and hayrides, there’s a lot to be excited about this time of year. But as we all know, candy is one of those things that’s scarier to us than any goblin or ghoul. 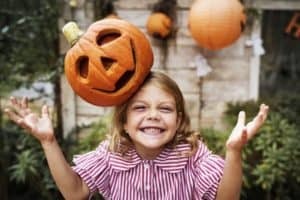 We know that when we start talking about the dental dangers of candy it may seem that we’re putting a damper on one of the biggest parts of Halloween. But there’s a good reason we encourage our patients to limit the amount of sweet treats. While sugar itself doesn’t create cavities, it does give the bacteria that live in the mouth plenty to feed on. When this happens, the bacteria produce an acid that will erode tooth enamel and a cavity can form. 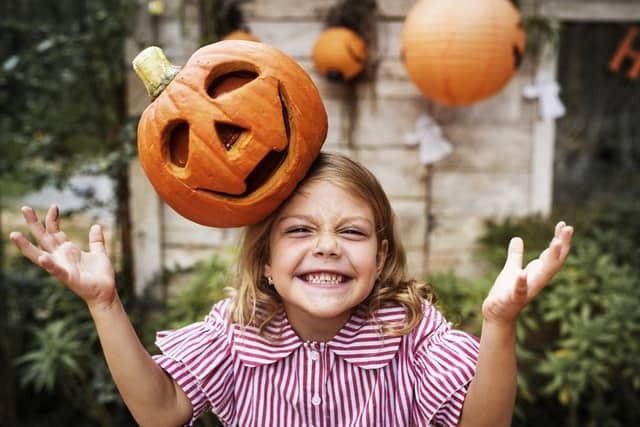 Even though we recommend enjoying candy and foods with a lot of sugar in moderation, there are other foods that could be even spookier for your teeth. While the sugar in sweet snacks are often thought of as the most likely to cause cavities, there are other surprising snacks that can be even more dangerous. While often considered pretty harmless and perhaps even healthy snacks, chips and crackers can contain ingredients that put teeth at greater risk for cavities than most candies. This is because of the high starch content found in these types of foods. Starches can have a very similar effect on the body as sugars, even though they don’t have a sweet taste. First and foremost, starchy foods such as crackers and chips become sticky as they’re chewed. This makes it really easy for them to leave pieces stuck in the crevices of teeth. Second, chips and crackers have something called a high glycemic index. The glycemic index is basically a scale used to explain how likely a food is to raise blood glucose level as the food is broken down. This means certain non-sweet foods can have a similar effect on your body and your oral health as, you guessed it, sugar. The combination of stickiness and a high glycemic index is a recipe for a scary situation. Again bacteria are left to feed on the leftover food particles, produce the acidic byproduct, and the result is a cavity. Whether you treat yourself to a few pieces of candy or enjoy a few crackers this Halloween, make sure to drink plenty of water to help wash away sugars and neutralize acid. As always, make sure you’re brushing and flossing regularly and seeing your dentist in Warsaw at least twice a year. From all of us at our Warsaw dental office, we wish you and your family a safe and happy Halloween.